Informant by Fanatic Software, Inc. Informant is The ONE Calendar, Task, Note app you will ever need. Over 1 Million people have trusted Informant on iOS for over a decade as their go-to-organizer and now you can enjoy that same power of productivity on your Mac as well. Why do customers choose Informant? 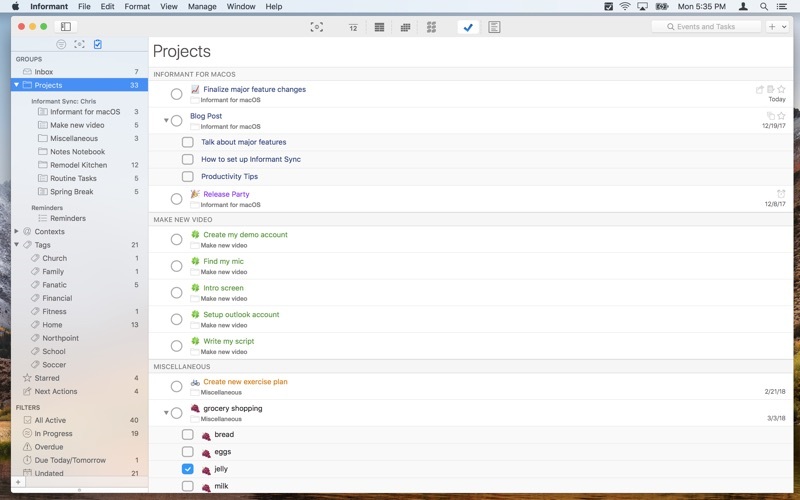 -”Better, more useful calendar views. Native calendar apps are designed to be “pretty”, Informant is designed to be “pretty AND smart”. 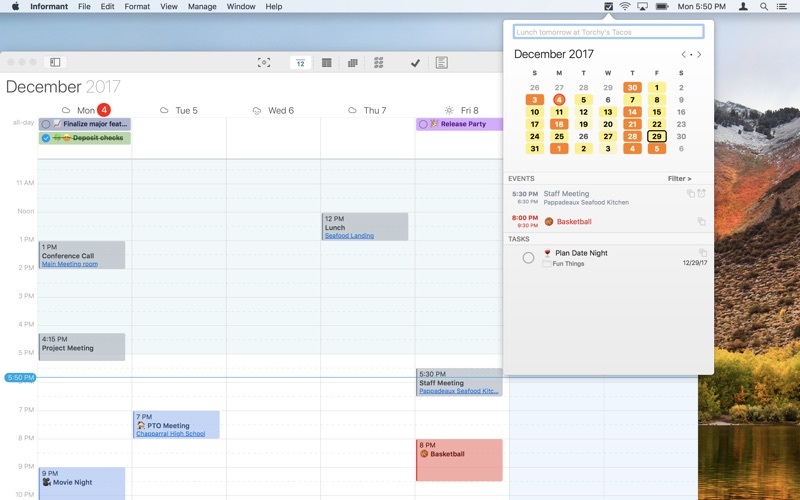 • Show the "Focus" sidebar in any calendar view! 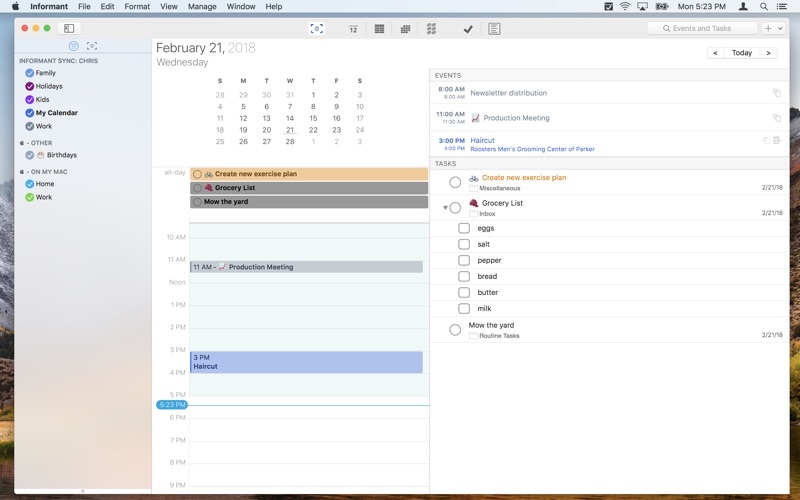 Drag and drop between the focus sidebar and your calendar view. • Use checklists for tasks that contain lists - like groceries, packing, etc. • Use Quick Entry to create new events and tasks no matter which app you are in. Define a custom hot key to bring up the Quick Entry window even when the main Informant App isn't running! • A super handy menu bar utility that you can fully customize. 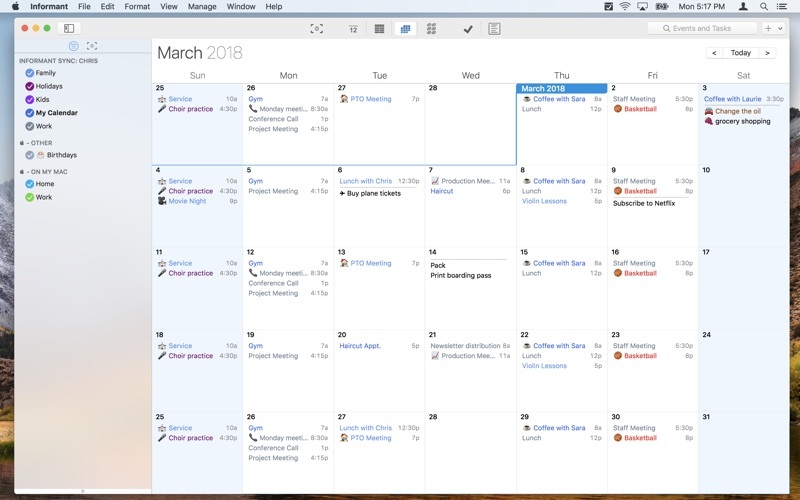 Pick which groups of tasks you'd like to see, create a calendar filter to limit which events you see and you can also use it for creating new events and tasks with natural langauge! • TABS: Informant lets you create multiple tabs to customize your workspace. Perhaps you might like to keep the month view open on one tab, a week view in another tab, and your task list open on another tab, etc. 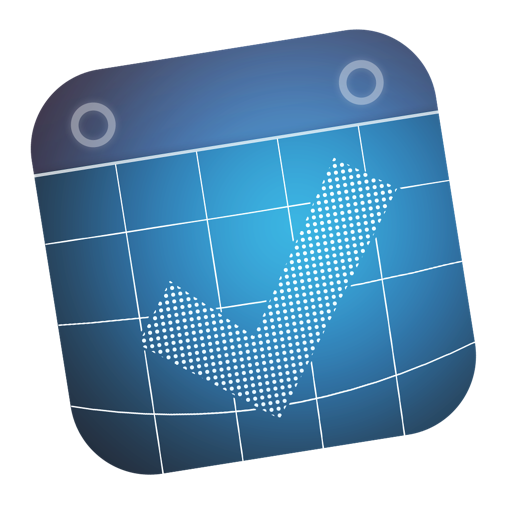 • CALENDAR ITEM COLORS & ICONS: You can assign custom event/task colors and icons directly to an event or task, or to a tag, or to a calendar. • SMART FILTERS: Create custom rules for finding tasks and save those as a Smart Filter. 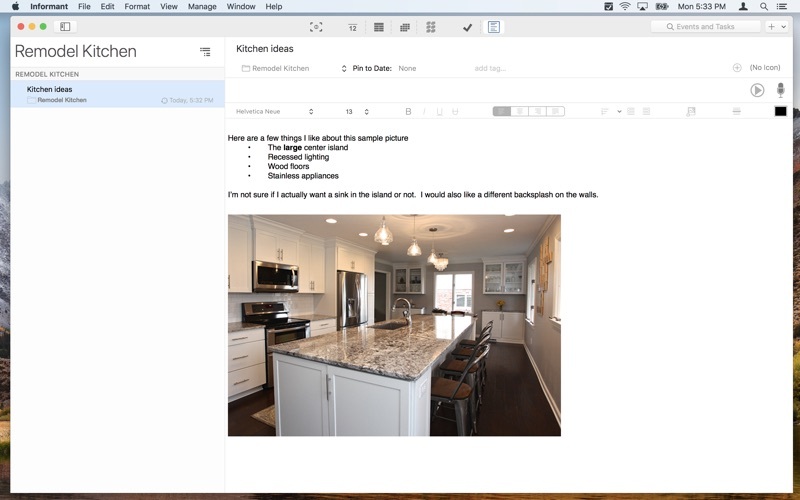 These smart filters show up on your main task view, but can also be included on your Focus View. • Informant supports syncing with Google Calendar, Google Task, Toodledo, Evernote and our very own Informant Sync. • Keep ALL your devices in sync! Informant Sync was designed from the ground up to be the best way to keep all your Informant data in sync between your iPhone, iPad, iPod Touch and now your Mac. In addition to syncing your events, tasks and notes, Informant Sync syncs all data unique to Informant - including Smart Filters, Tags, Icons, Colors and more! • Is automatically included for everyone who subscribes to Informant 5 for iOS! Visit http://pocketinformant.com/ for more information!